There's a definite siren call to a light, fast, portable computer with a solid keyboard that isn't subject to the patching and malware malaise that has become part and parcel of Windows-dom. Every Chromebook runs precisely the same version of Chrome OS. It's updated constantly -- no Patch Tuesday (or Second, Third, or Fourth Tuesday, with occasional out-of-band fixes). There are no independent drivers to juggle. I, for one, find the absence of device drivers to be a godsend. Malware, viruses, and the like are a concern with Chromebooks, but they aren't in the same cesspool as the multi-billion-dollar malware industry that slimes Windows. To be sure, crapware Chrome extensions exist, and as Ron Amadeo at Ars Technica described early this year, they can cause problems. But as far as I know, nothing resembling a Windows virus has ever hit a Chromebook -- yet. As far as I've heard, there haven't been any Chromebooks bricked by bad patches, no blue-screen blues. Of course there are trade-offs. Many people prefer Google Docs, Sheets, and Slides over Microsoft Office, but many feel as strongly the other way. Many users are comfortable working with browser-based apps, and others prefer working closer to the metal. I can't presume your personal preferences, but I can say that Docs, Sheets, and Slides are very capable apps. A Chromebook offers no support for connecting to network shares. The road to sharing leads to Google Drive. If you want to print from a Chromebook, you have to go through Google Cloud Print (still officially in beta), which means you can only print to a properly set-up Google Cloud Print-compatible printer. The Chrome PDF viewer, at this point, doesn't let you annotate PDF files or view annotations. In exchange for storing your documents in Google's cloud, and doing all -- or at least most -- of your work online, the Chromebook makes caring for a computer dead simple. If that idea reverberates with you, then a Chromebook may be a good alternative to a traditional laptop. To see what the leading Chromebook hardware manufacturers have to offer, I rounded up business-grade Chromebooks from Acer, Dell, Google, HP, Samsung, and Toshiba and took them for a three-week test-drive. Here's what I found. As I noted above, Chromebooks run Chrome OS, which is, to a first approximation, the Chrome browser you've used before. To a second approximation, Chrome OS can support overlapping resizable windows (each resembling a Chrome window on Windows or OS X), as well as apps built to Google's Chrome Packaged Apps specifications. That's what gives specific apps (such as Gmail, Docs, Sheets, and so on) the ability to run even when the OS is offline. Chrome OS also includes a built-in media player and a file manager. To the user -- at least, to me -- there's absolutely no difference among the interfaces of the machines I tested. There is no bloatware, no "unique" software differentiators. Chrome OS is Chrome OS is Chrome OS, and that's good. You can toss aside one Chromebook, get working on another in seconds, and pick up right where you left off. That said, you'll find plenty of hardware differences. Every Chromebook you're likely to find these days has an 11.6-inch or larger screen, running at 1,366-by-768 or better resolution. But as you will see, the quality of the screens varies widely. A few Chromebooks have touchscreens. Most use Intel Celeron processors -- low-power N2830, faster N2930, and the older (arguably faster) 2955U -- although there are Chromebooks based on Nvidia Tegra K1 chips and considerably faster Intel i3 4005U CPUs. You can even find older Samsung Chromebooks with Exynos chips. In my experience, the Celeron N2830, Celeron N2930, Tegra K-1, and Exynos machines can all hold up to a light business-caliber workload. The Intel Core i3 and Celeron 2955U machines run noticeably faster. Then there's the Core i5 3427U CPU in Google's Chromebook Pixel, which is in a class -- and price range -- unto itself. Every Chromebook has exactly the same keyboard layout: previous/next page in browser, full screen, brightness, volume, and the like across the top, search key where Caps Lock usually goes, and directional arrow keys sitting in the lower-right corner. Unlike a Windows keyboard, there's only a Backspace key, no Delete (use Alt-Backspace). There are no Home or End keys, although you can use Ctrl-Alt-Up arrow (or Down arrow). There's no Fn key, no Windows or Command key, only Alt and Ctrl -- very simple. All of the touchpads I saw worked exactly the same way: Tap to click, or press the bottom of the trackpad. Two-finger click (or Alt-click) is a right-click, three-finger click is a middle (or scroll-wheel) click. Drag two fingers to scroll, swipe with two to move among tabs, and click-with-one-finger and hold to drag items. Every Chromebook also has a webcam, stereo speakers, and an earphone/mic plug. They all have TPM (Trusted Platform Module), and it's actively used for preventing firmware and software version rollback, protecting user data encryption keys, and much more. Effective since Nov. 21, every new Chromebook sold through the end of January includes 1TB of free Google Drive storage, for two years. At current rates, that's a $240 value -- more than the price of a Chromebook in many cases. If you're coming from a Windows world, the uniformity across the Chromebook manufacturers may put you off. Or you may find it exhilarating, knowing that whatever you learn or do on one machine transfers to another without skipping a beat. Now let's step through the six machines and see where they differ. Excellent battery life and a superb keyboard compensate for a so-so screen and occasional Chrome app compatibility issues. 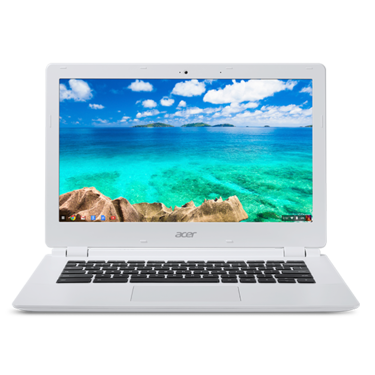 Acer has been making Chromebooks since the beginning of Chrometime, but the latest rounds of Chromebook 11 and 13 offerings, released in August, break with the past. Acer has moved to the Nvidia Tegra K1 chip in a big way. In theory, the K1 offers CPU performance that rivals Intel's latest-generation Celeron processors, while delivering superior video performance and requiring less power. In practice, however, the Chromebook 13 CB5-311-T9B0 proved only marginally better than the Celerons in my testing. I mention typing speed for a very specific reason: Of all the Chromebooks in this review (with the exception of the Chromebook Pixel), the Acer Chromebook 13 is the only machine I would consider using for long typing sessions. The keyboard has very good resistance, long throw, and noticeable feedback. While the Dell Chromebook 11 also has a good keyboard, its 11-inch screen cramps my working style. Of course, you can always pack a keyboard. I inevitably throw my Das Keyboard 4 in the suitcase when I expect to pound away incessantly. But if you plan to touch-type on the go, the Acer Chromebook 13 makes a big difference. The unit measures 12.87 by 8.96 by 0.71 inches deep and weighs 3.31 pounds -- about what you'd expect from a 13-inch machine. K1 chips are not without their problems. I've seen reports of Chrome game extensions that work fine with Intel chips, but refuse to run on Nvidia chips, throwing up "The page uses a Native Client app that doesn't work on your computer." Google's Native Client technology is supposed to run on ARM devices such as the K1, but there are holdouts. The biggest letdown with this machine: Its lackluster 1,920-by-1,080, LED-backlit TN (Twisted Nematic) screen, which is both grainy and constrained by a very narrow viewing angle. I found it difficult to use the machine on my lap because the screen would fade in and out, in spite of the advertised Comfy View technology. Other than that, the specs are solid: two USB 3 ports, 802.11a/b/g/n/ac, an SD card slot, and a full-fledged HDMI port. The webcam runs 1,280 by 720. In my YouTube battery test, I got eight hours before the battery quit, the best in this bunch of Chromebooks. The machine I tested, the Chromebook 13 CB5-311-T9B0 with 1,920-by-1,080 display, 2GB of RAM, and 16GB flash drive, lists at $299, but I've found it discounted recently as low as $250. The upscale CB5-311-T1UU with 4GB RAM and 32GB flash lists for $380. And the squinty stepsister CB5-311-T7NN, with a lower-resolution 1,366-by-768 screen, 4GB of RAM, and 32GB flash, lists for $330. The lower-resolution screen should add up to two hours to the battery life. Dell is about to release a newer version of its Chromebook 11, but the new Intel Core i3 4005U model wasn't available in time for this review. Still, the Celeron 2955U model is no slouch. Its Google Octane benchmark score of 10,400 puts it near the top of the pack, second only to the Chromebook Pixel. It's a portly portable, to be sure. Measuring 11.6 by 7.9 by 0.97 inches thick and weighing 2.9 pounds, it's oddly plump for an 11-inch Chromebook. You should expect Dell's usual build quality: It's a solid machine with a nice-looking cover. There's a full array of ports -- two USB 3.0 slots, an HDMI port, and an SD card reader -- and 802.1a/b/g/n (but not ac) comes standard. Dell's spec sheet says the CB1C13 has "integrated Ethernet," but there's no Ethernet port -- you need to use a dongle. My battery test came in at 7.5 hours, which is quite good, especially considering the CPU performance. The speakers work reasonably well, but the 720p webcam has trouble coping with variable contrast. The power cords on most Chromebooks come with a right-angle bend next to the machine; on the Dell it sticks way out. Then there's the screen. Dell hasn't given this device the screen it deserves. At 11.6 inches, 1,366-by-768 resolution, the old-fashioned TN panel looks washed-out, with poor color rendition and very narrow viewing angles. It'll suffice for most corporate jobs, but you wouldn't want to watch "Life of Pi" on it. As a bit of compensation, the HDMI port can drive a full 1,920-by-1,080 HD monitor. That said, the keyboard's quite nice. Dell's keyboard has respectable throw and reasonably good tactile feedback. I found I could speed type on it quite easily, unlike with several other keyboards in this roundup. The responsive, standard-sized touchpad (4 by 2.25 inches) has a pleasant feel and operates smoothly, with no false starts. Dell's site lists the base model with 2GB of memory and 16GB flash at $279. I've found small discounts from that price on various vendors' sites. Bump up the memory to 4GB for an additional $20. As of this writing, the Core i3 version (4GB memory, 16GB flash) lists at $379, but doesn't ship until late December. Dell has been advertising this thoroughly capable (if optically challenged) beast as if it were intended exclusively for the education market. That seems odd to me, because the machine clearly has a lot to offer in the corporate world. Perhaps the marketing folks decided to emphasize school kids because Dell was late to the market -- Dell shipped this, only its first Chromebook, earlier this year. Perhaps Dell is concerned about eating into its Windows-drenched base. Maybe it doesn't want to strain that $2 billion investment from Microsoft ("Sure, Steve, we have a Chromebook, but it's only for kids"). Whatever the reason, take the advertising with a grain of salt. The Celeron-based Dell Chromebook 11 works quite well in a business setting, at least in my tests, and I have no doubt the Core i3 version will work even better. If only Dell would improve the screen. 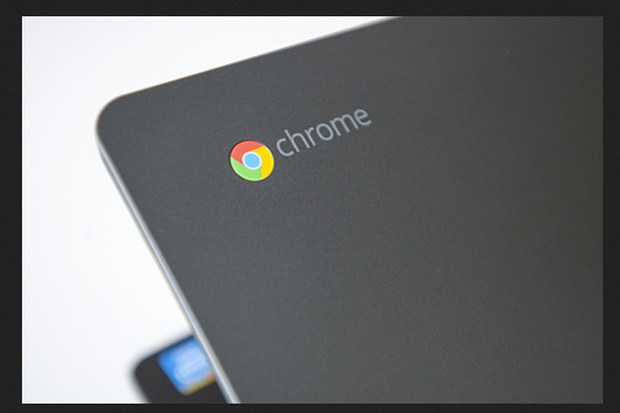 Google released the ultimate Chromebook, called the Chromebook Pixel, back in February 2013, with a second, LTE-enabled model arriving in April. No Chromebook before or since has come close to the Pixel's elegance, gorgeous screen, outstanding keyboard -- or exorbitant price. Comparisons with the 13-inch MacBook Pro are inevitable. The Pixel measures 11.72 by 8.84 by 0.64 inches thick and weighs 3.4 pounds; the current 13-inch MacBook Pro runs 12.35 by 8.62 by 0.71 inches thick and weighs 3.46 pounds. They're kissin' cousins if only in the cloud.